International Journal of Medical Toxicology is a Scientific Open Access peer reviewed publication that discusses the current research in the field of Toxicology. 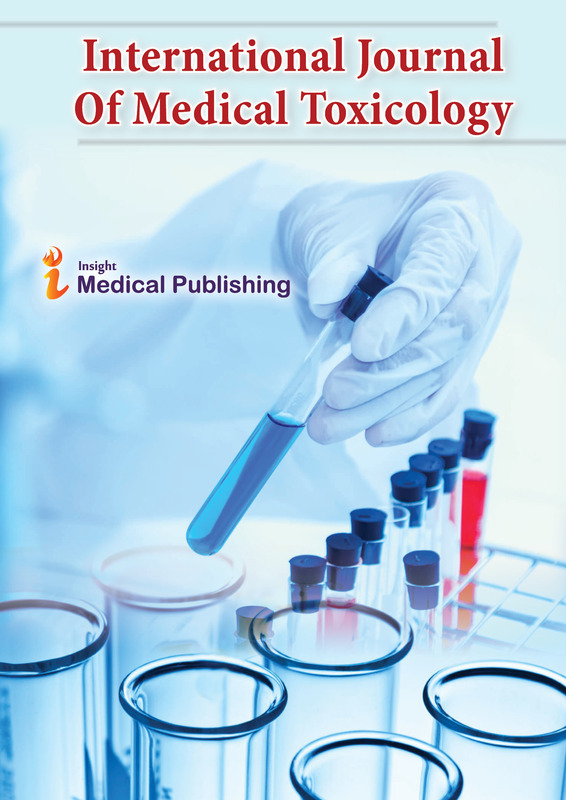 International Journal of Medical toxicology focuses on toxicology and providing the diagnosis, management and prevention of poisoning and other adverse effects due to medications, occupational, environmental toxicants, and biological agents. Medical toxicologists are involved in the assessment and treatment of a wide variety of problems including acute or chronic poisoning, adverse drug reactions (ADRs), drug overdoses, envenomations, substance abuse, industrial accidents, and other chemical exposures. Toxicogenomics deals with the collection, interpretation and storage of information about gene and protein activity within a particular cell or tissue of an organism in response to toxic substances. It combines toxicology with high throughput molecular profiling technologies such as transcriptomics, proteomics and metabolomics. It endeavors to elucidate molecular mechanisms evolved in the expression of toxicity and to derive molecular expression patterns that predict toxicity or the genetic susceptibility to it. Aquatic toxicology deals with the effects of chemicals and natural materials and activities on aquatic organisms at various levels from subcellular to communities and ecosystems. It is a multidisciplinary field which integrates toxicology, aquatic ecology and aquatic chemistry. This field of study includes freshwater, marine water and sediment environments. Medical toxicology is a branch of medicine focusing on toxicology. It provides the diagnosis, management and prevention of adverse effects due to medications, occupational and environmental toxicants, and biological agents. Ecotoxicology is a multidisciplinary field which integrates toxicology and ecology. It is the study of the effects of toxic chemicals on biological organisms. Its aim is to reveal and to predict the effects of pollution within the context of all other environmental factors. Based on this knowledge the most efficient and effective action to prevent or remediate any detrimental effect can be identified. It is also known as Ecotox and is a multidisciplinary field of science dealing with the study of the harmful effects of various chemical, biological and physical agents on living organisms. Occupational toxicology also known as industrial toxicology is the application of the principles and methodology of toxicology to understanding and managing chemical and biological hazards encountered at work. The objective of the occupational toxicologist is to prevent adverse health effects in workers that arise from exposures in their work environment.